It's predicted that the province of British Columbia (BC), Canada, will require an additional 30,000 gigawatt-hours of electricity within the next 20 to 25 years. To meet this projection, BC Hydro retained consulting firm Kerr Wood Leidal Associates Ltd. (KWL) to conduct a hydroelectrical analysis and identify optimal sites for run-of-river power development. In response, the firm used the ArcGIS Spatial Analyst extension to build a Rapid Hydropower Assessment Model (RHAM) that automates the process of site selection. Using algorithms, the model can estimate a site's potential power output by combining factors such as a stream's flow and the elevation differential between the water intake and the turbine in the powerhouse. 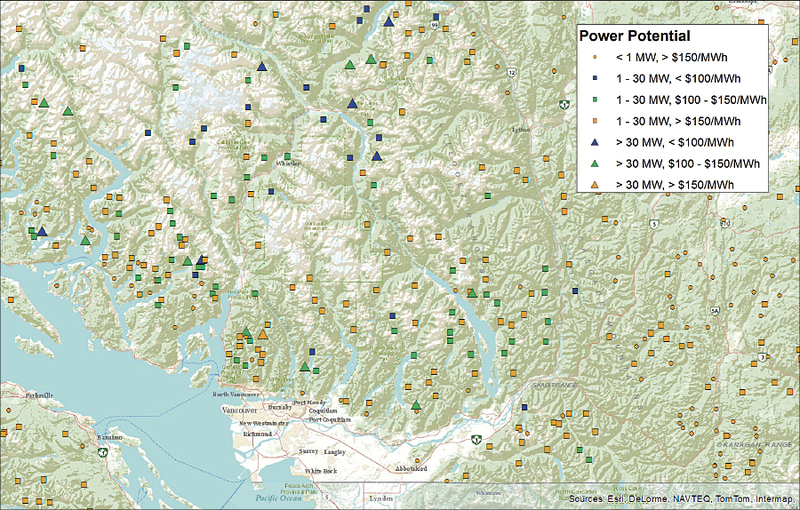 Power potential information was gathered for more than 10 million sites in BC and saved as a vector data layer in ArcGIS for Desktop. 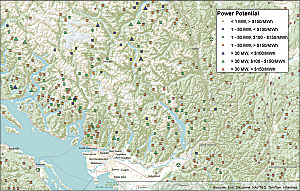 Once these sites were identified, data was screened for parameters suitable for run-of-river power development. 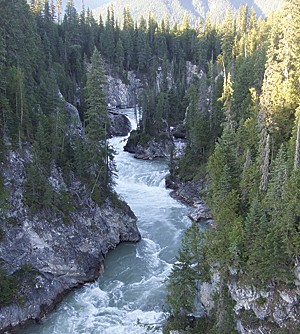 Areas considered "no-go zones," such as parks or salmon streams, were removed, and an optimization process was applied to further narrow results based on energy output relative to infrastructure required. "Through GIS, we were able to collect data on more than 10 million potential sites in a matter of hours—a process that traditionally would have taken years," says Ryan Taylor, GIS administrator, KWL. "We were also able to target locations that were off the beaten path and would have never been discovered."